The Genius NB Stand 280 is a notebook cooling stand designed to help prevent your notebook from overheating during extended use. The aluminum base not only makes heat dissipation more efficient but also adds style to your notebook setup. A fan draws heat away from the base of the notebook, allowing for better circulation and ventilation under the notebook casing. 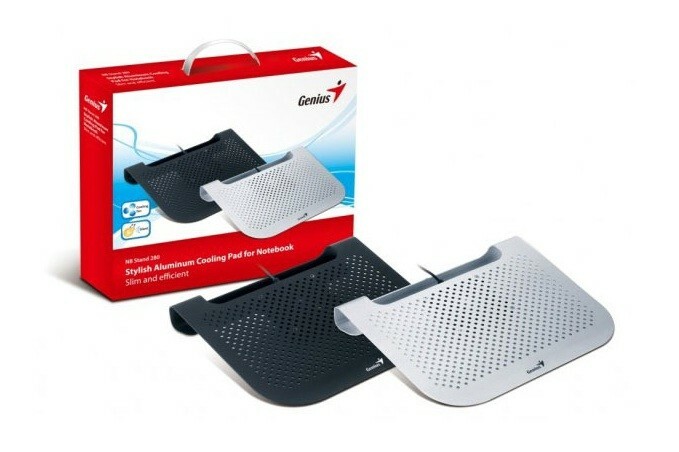 It’s flat and lightweight design coupled with a cable which easily stores around the fan makes it a neatly packaged notebook cooling solution for workspaces of any size. The NB Stand 280 features an ergonomic and streamlined design with non-slip rubber pads on each side for a solid grip, as well as an additional USB port for use with another USB device. The Genius NB Stand 280 is the ultimate compact, efficient and stylish cooling solution for your notebook ! 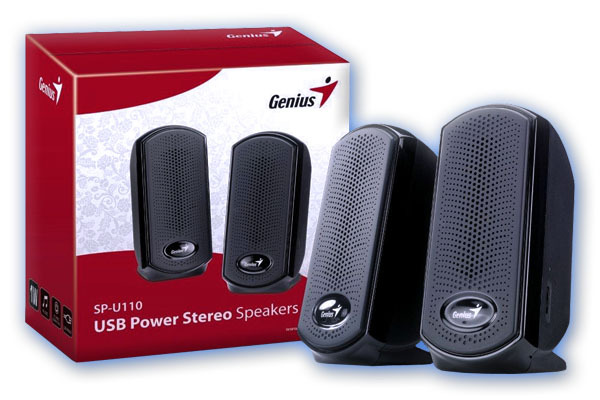 Don’t be limited by a power adapter, Genius releases SP-U110, stereo speakers whose power is supplied through a USB port from a PC/notebook. You can use SP-U110 just about anywhere with your notebook or PC. Just insert the USB plug to a PC/notebook for power and the 3.5mm audio plug into music playback devices, such as PC, notebook, MP3 or CD player. SP-U110 is a compact design with good and clear sound. It has a convenient knob on the side to adjust the volume. For more information, contact your local sales representative. Genius KB 110 is the latest desktop keyboard support Windows Vista. 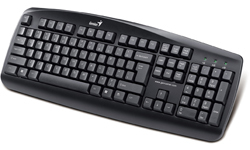 This comfort black keyboard with 104/105/106 compatible keys enhance windows layout. The low-profile keycap structure provides an excellent touch. Additional features include a water resistant function to prevent against accidental drink spillages. Contact your sales representative for more information. · Shipping: This item is also available for shipping to select countries outside the U.S.